This Post has already been read 219 times. When it comes to quality focused and trendy shoes particularly handmade leather shoes either for men or women “footlib” is place to get your pair. Within 20 years of footwear manufacturing experience, the company has evolved into a multi-faceted organization with a diverse customer base. Footlib is the first factory who exports his first shoes from Pakistan. Because of mismanagement Mahmood Group acquires it. After creating a tremendous success story at Lahore store, “Footlib” the famous shoes brand has recently opened new store at Multan. Now, people of Multan would be able to get latest, trendy and quality driven shoes at hometown. In highly competitive environment, the company has positioned itself due to it’s enrich quality for leather shoes. It has successfully adopted the continuous change in fashion, style, color and leather texture. With the signature of quality, footlib offers all kind of footwear including Boat Shoes, Moccasin, Casual Footwear, and smooth construction for all genders. The ongoing success and popularity among national and international customers keep the company spirit alive to expand its business further. 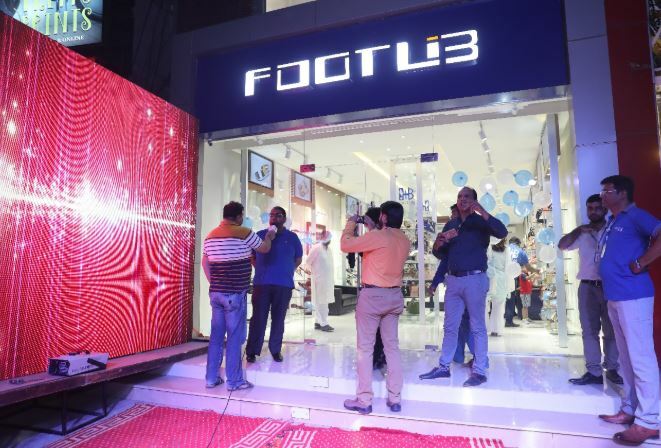 In a recent attempt, footlib has successfully inaugurated its new outlet at Multan and planning to opening 8 outlets this month. The company has proudly maintained the perfect mix of style and quality. This is the main reason customers proffered footwear of Foolib because it’s the second name of fashion and quality. With the strong export & domestic network the company is dealing with European and domestic customers. The highly satisfied customers’ response to handmade leather shoes helped the footlib to enhance the business and earn good profit margin. The all following management (names) of the Mahmood Group was present at launch of Multan Gulgasht Branch. A huge number of customers visited the Multan branch. Apart from Pakistani customers, footlib has maintained the close relations with overseas customers because the satisfaction and choice of customers is first property for footlib. In order to bring the new fashion statement, the company is always ready to attend to seasonal changes in demand, carry out new product development in line with customer’s requests and conduct regular market surveys. Customers from other cities can place their order online. And, the best thing about Footlib is the free shipping nationwide. With the 24/7 customer service, customers can place their orders at any time or can ask about products, their availability and specifications. If you’re looking for the right pair which matches the standard of style and quality, footlib is wise choice to get your shoes. So what you’re waiting for? In order to get your perfect match do visit http://www.footlib.com. Moreover you can also download the app from play store/App store or you can also visit the Facebook, Instagram pages of Footlib for latest updates.